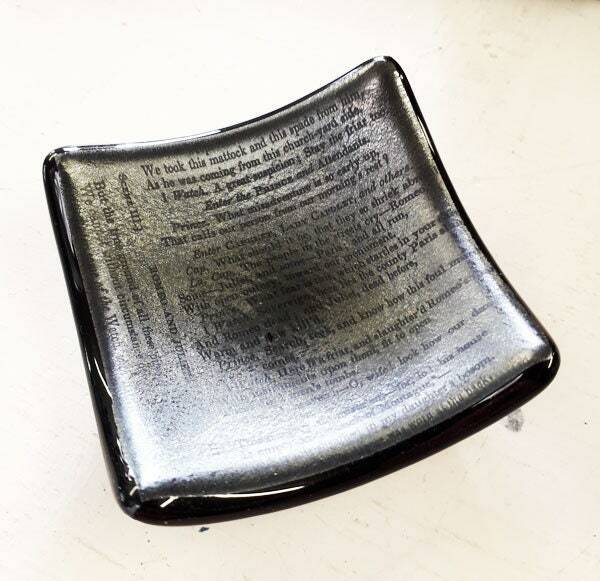 This is a very unusual black trinket dish, made from black fused glass with a metallic pewter/silver finish on the surface, and printed with some text from a vintage copy of Shakespeare's Romeo and Juliet. 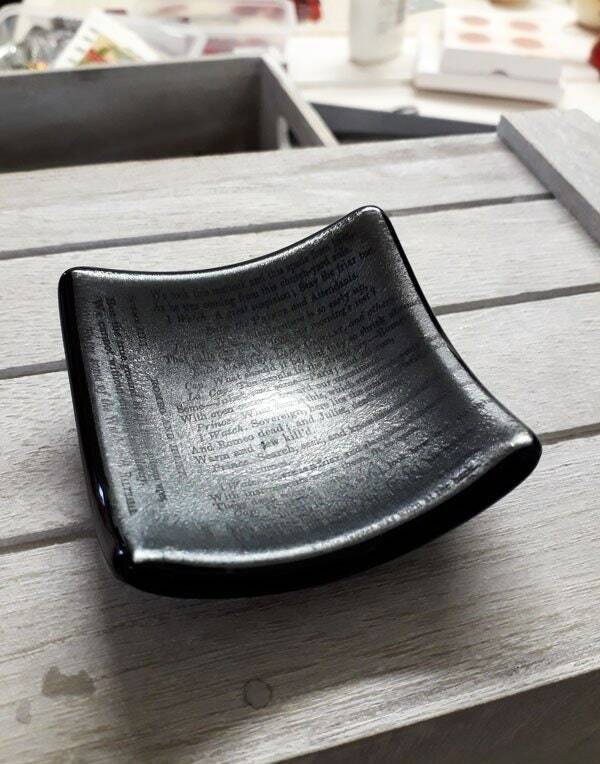 It's very solid with a flat base, so you could use it for tealights as well. 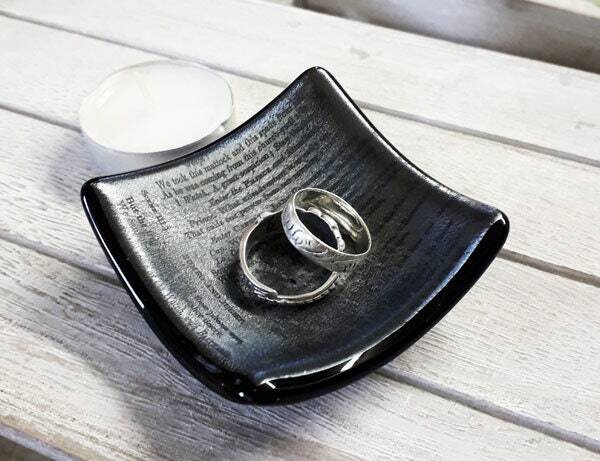 The rings are included in one of the photos to give you an idea of the size but aren' t included. It's about 6.8cm x 6.8cm and is easy to clean with washing up liquid and water.